The Ultimate Detailed Mascot mystery blind box collection continues! This Series 1 features 15 different characters to collect. Each figure comes with a display base and standing slightly over 2 3/4-inches tall. Figures require minor assembly. 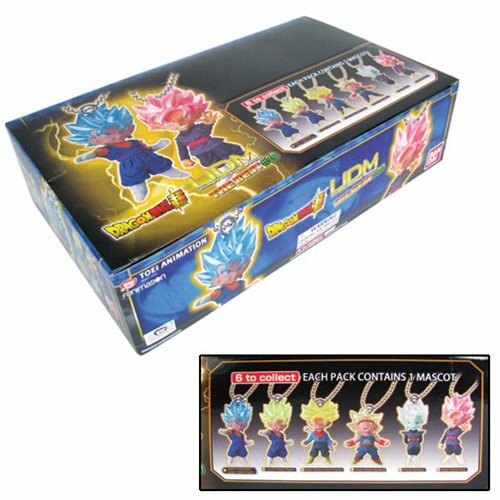 The Dragon Ball Super UDM Mascot Series 1 Key Chain Random 5-Pack contains 5 randomly chosen blind packaged figures.